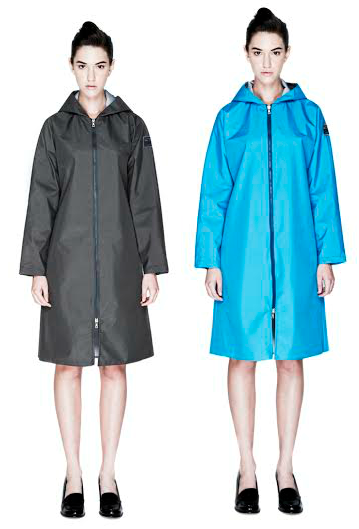 Win a JUNGWON jacket worth up to £300 - winner chooses colours! Beat those rainy days in style this Autumn! Get your hands on a contemporary yet timeless jacket offering a chic twist on classic outerwear from JUNGWON worth up to £300. From the Nolcha Shows runway during New York Fashion Week to your wardrobe, be one of the first to get your hands on JUNGWON! As seen in Vogue, Harpers Bazaar and Elle Magazine! The minimalist garments offer a high quality finish, that are waterproof, windproof, wrinkle free and breathable. Inspired by city life this jacket is stylish yet functional, light yet resilient and a compliment to any fashionable commuter, stylish parent on the go, or jacket lovers closet. One lucky reader or visitor of Unique Young Mum will be taking home one of the very stylish jackets from JUNGWON as pictured above, in their choice of colour and size (small, medium, large or x-large). Please note: You must at least follow/like both Unique Young Mum and JUNGWON on at least one social media platform! To find out more about JUNGWON and to view their full collection, check out the official website here.